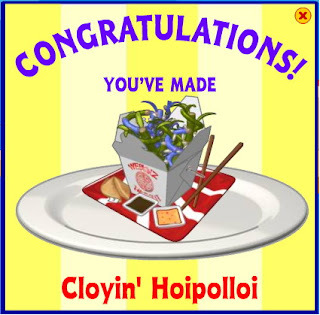 The Cloyin Hoipolloi Recipe is a new webkinz favorite. You can use the stove or grill for this one. Very easy. You need Burger, Licorice, and Asparagus. Brand new and solved. Enjoy this favorite.